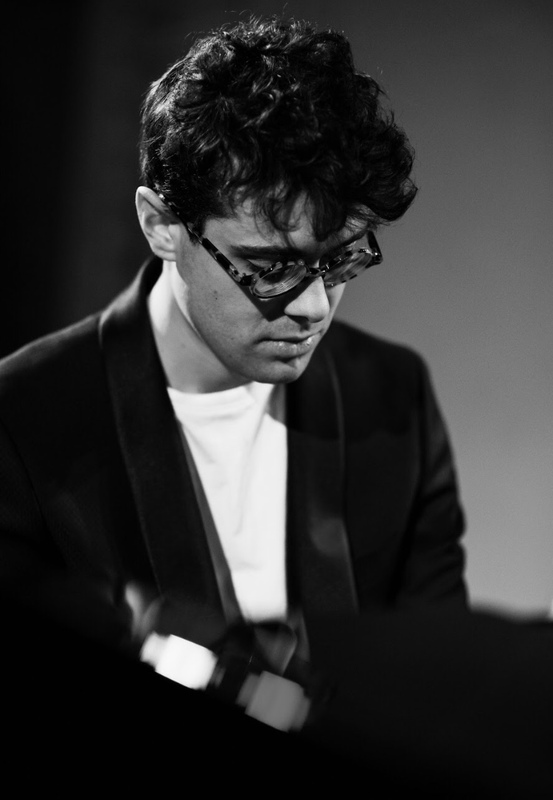 Alessandro Martire, 12/07/1992, is a young Italian pianist and composer. He studied piano and composition at Music Academy Genoa with Italian Teacher M. Giusto Franco. Degree in International and Political Science at the University of Milan. In 2012 he made experience and studied at the Berklee College of Music in Boston, in new age composition and he performed at the final concert in a David friend recital hall. His compositions are the expression of a musical sensibility which originates from the classical tradition and contemporary elements using melodies and harmonies that are evocative and very catchy. There’s no definition for his music. You can call it New Age, classical crossover, contemporary, alternative and other such adjectives but in the end it always comes down to this: Alessandro Martire plays Alessandro Martire music. His concert with original music, led him to perform in prestigious universities and theatres around the world, most notably in 2013 the ”Hong Kong University of Science and Technology”, ”Y theatre -Hong Kong”, ”Joseph Haydn Konzerthaus – Bolzano”, in 2014 the ” Seowon University – South Korea ” and in 2015 ” Bocconi University – Milan“ and “New Musical Art Philharmonic hall – Moscow”. Through his music Alessandro connects in an intimate manner with his audience, tapping into their emotions, thoughts and dreams like an old friend. The composition “Dolce Pensiero”, in english “Sweet Thought”,from the first Album won the tenth edition of the National Competition of piano composition in Savona “DeMusica” . This track has been included in the repertoire of internationally known concert pianist Eugenio de Luca, student of the famous pianist Arturo Benedetti Michelangeli . – In 2013 “Melodia di Vita World Tour ” to promote his first album “Melodia di Vita – ( Label Soundiva ) “, Alessandro has performed in a single year in many countries including: United States , United Kingdom, Austria, Denmark, Hong Kong, Switzerland, South Korea and Italy, receiving numerous awards and appreciation for the musical originality and remarkable quality of his performance at such a young age. – In 2016 ” Flames of Joy World Tour ” in occasion of the release of new album “Flames of Joy “, Alessandro performed in only one month (November 2017) in 10 Countries From Addis Abeba to Canberra through Hong Kong, Dubai, Pretoria, Bratislava, Guangzhou, Seoul, Verona, Jakarta. He made also a special performance at Royal Palace in Belgrade For Prince Alexander and Princess Katherine. -In 2017 and 2018 “Flames of Joy World Tour 2.0 and 3.0 ” Alessandro performed in Japan, Russia, Poland and Vietnam with Soul Academy Orchestra. In 2018 Alessandro signs an important publishing contract with Ultra International Music Publishing in New York City. Composer of Soundtracks for films, short films, theatre and commercials. The music of the album “Melodia di Vita” were published in entertainment on board all flights with Alitalia and Cathay Pacific . From 2015 he founded ” Infinity Sound”, social projects including Sport, Music and Culture like ” Infinity Sound Theatre”, “Infinity Sound Earth ” and “Love for Life”. Alessandro Martire è un giovane compositore pianista italiano, nasce a Como il 12 luglio 1992. A 15 anni scrive le sue prime composizioni pianistiche con un crescente interesse per la musica classica contemporanea con l’innesto di elementi derivati dalla musica pop, minimalista e crossover, raggiungendo uno stile personalissimo. La sua attività concertistica con musiche originali, lo hanno portato ad esibirsi in prestigiose Università e Teatri di tutto il mondo,tra cui spiccano nel 2013 la ” Hong Kong University of Science and Tecnology ” ,”Y-theatre -Hong Kong “, “Joseph Haydn Konzerthaus – Bolzano” ,nel 2014 la ” Seowon University ” di Seoul e nel 2015 “Università Commerciale Bocconi Milano”, “New Musical Art Philharmonic hall – Mosca”. Inoltre continua i suoi studi musicali e pianistici presso l’Accademia Musicale Genovese sotto la guida del pianista e compositore M. Giusto Franco . Nel 2012 ha studiato e frequentato il college americano di musica a Boston: Berklee (College of music) nel ramo composizione new age esibendosi nel Concerto-Recital finale alla David Friend Recital Hall . Laureato in Scienze e Politiche Internazionali presso l’Universita’ degli Studi di Milano. Il brano “Dolce pensiero” vince la decima edizione del Concorso Nazionale di Savona ”DeMusica” di composizione pianistica. Quest’ultimo è stato inserito nel repertorio del noto concertista a livello internazionale Eugenio de Luca, allievo del celebre pianista Arturo Benedetti Michelangeli. – Nel 2013 “Melodia di vita World Tour “ per promuovere il suo primo lavoro discografico , Alessandro si è esibito un in solo anno in tantissime nazioni tra cui: Stati Uniti, Regno Unito, Austria, Danimarca, Hong Kong, Svizzera, Corea del Sud, Italia, ricevendo numerosi premi e apprezzamenti per l’originalità musicale e la spiccata qualità delle sue performance in cosi giovane età. – Nel 2015 in programma ” Da sempre in Tour ” con prima tappa l’ Università Bocconi di Milano il 23 Aprile e successivamente concerti in Indonesia, Singapore ,Russia e Germania. -Nel 2016 , in occasione dell’uscita del nuovo album ” Flames of Joy ” in programma il tour ” Flames of Joy World Tour ” con 12 concerti in 10 nazioni, dall’Etiopia all’ Australia passando per Sudafrica, Emirati Arabi, Hong Kong, Cina , Corea del Sud, Indonesia, Italia,Slovacchia. Alessandro ha portato la musica del nuovo album anche al “Royal Palace” di Belgrado in occasione di un evento per il principe Alexander e la Principessa Katherine. -Nel 2017 e 2018 tour internazionali in Giappone, Russia, Polonia e concerto con orchestra Soul Academy ad Ho Chi Minh City in Vietnam. In onda anche speciali su Rai Scuola , Radio Television Hong Kong,Hong Kong Economic Journal ,The New Evening Post, l’Italo Americano e Rai International. Nel 2018 sigla un importante accordo editoriale con la prestigiosa Ultra International Publishing a New York. Compositore di colonne sonore di film, cortometraggi, teatro e spot pubblicitari. Le musiche dell’album “Melodia di Vita” sono state pubblicate nell’intrattenimento di bordo su tutti i voli Alitalia e Cathay Pacific. Nel 2015 fonda Infinity Sound , promuovendo tantissimi progetti sociali tra cui : “Infinity Sound Earth”,”Infinity Sound Theatre” e “Love for Life”.